← Why do we lock up so many people? 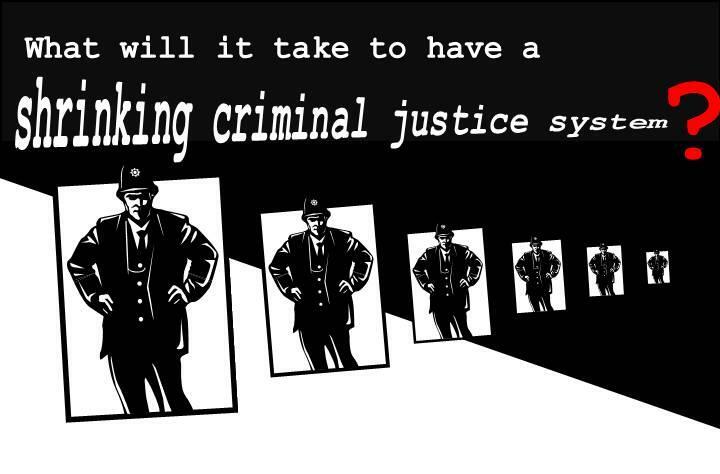 EVENT: What will it take to have a shrinking criminal justice system? In October 2013 the Reclaim Justice Network will be holding two events in London and Manchester to discuss and plan for ways to radically shrink the criminal justice system and approaches to justice and safety in our society. Manchester: Thurs 24/10/13, 5pm, Venue: Manchester Metropolitan University, Lecture Theatre, 2nd Floor (MT201), Mabel Tylecote building (on corner of Oxford Road and Cavendish St). View map. Download, view and share the poster here. 5 Responses to EVENT: What will it take to have a shrinking criminal justice system? Hello, may I advise to look at the book ‘Civilising Criminal Justice’ which just appeared at Waterside Press. I think it may help to find the ways of shrinking the criminal justice system in responsible ways. how long will the London event take?